And here are some photographs of the layout. The design – it’s a sort of Minories without the station throat pointwork. Although the complex yet simple entrance to the station is the hallmark of a Minories, and a feature of the design, this little layout showed what could be done in even less space. 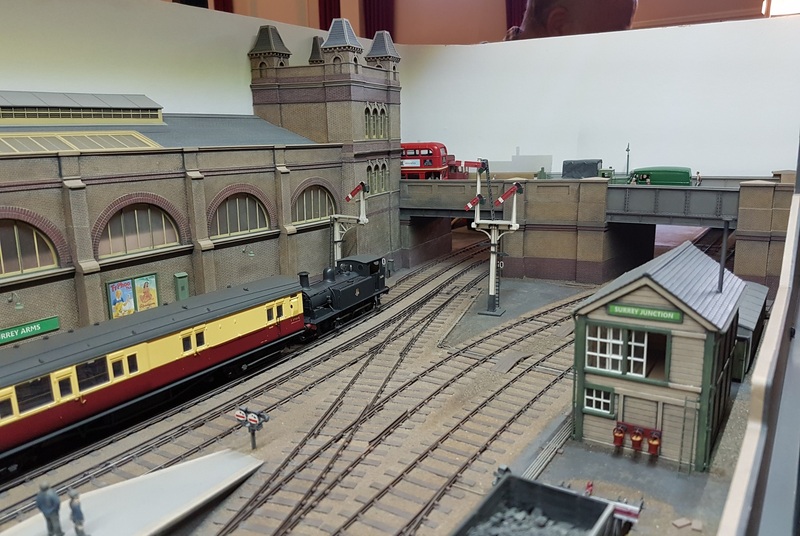 The backscene – I love the idea of modelling just the suburban platforms and having the main train shed as a background to the layout. And the building is very well done, reminding one of Cannon Street with the towers on the station corners. The goods service – cross London goods are perhaps a little unlikely at this location, but they increase the interest of operation and viewing. 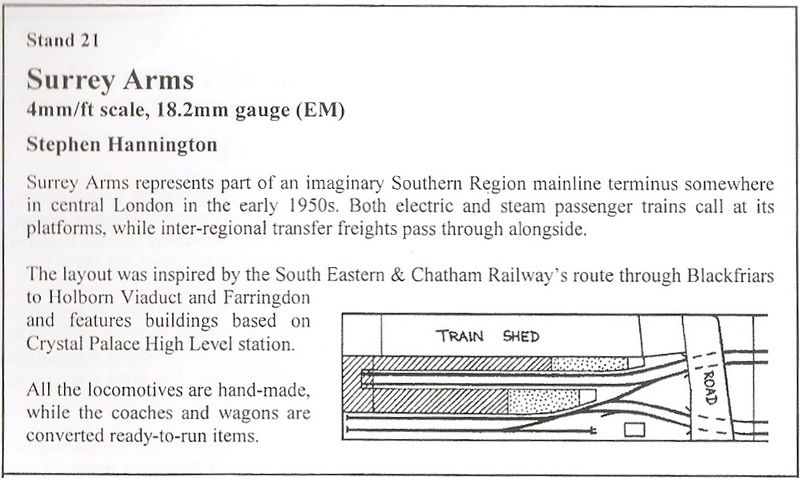 And the scratch built SECR locomotives were a bonus! Overall, an interesting little layout that might provide ideas for future designs. 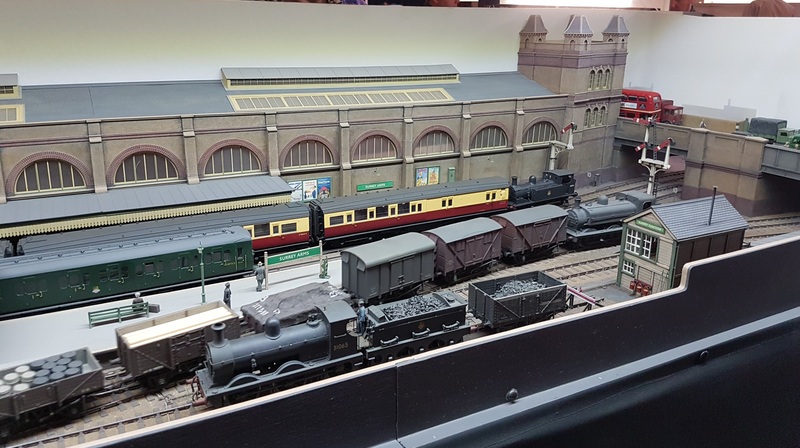 This entry was posted in Exhibitions, Inspiration, Layout design, Out and about and tagged exhibition, Layout design, Minories, model railway. Bookmark the permalink. I like it. Looking at the photo looking out of the station and toward the road bridge I find the layout still has that lovely Minories-style sweep in the curved tracks. Very nice interpretation. Thanks for sharing this.